In 1833 Wilton Road was cut into the hill that Ross sits as part of improvements to the communication to the west. 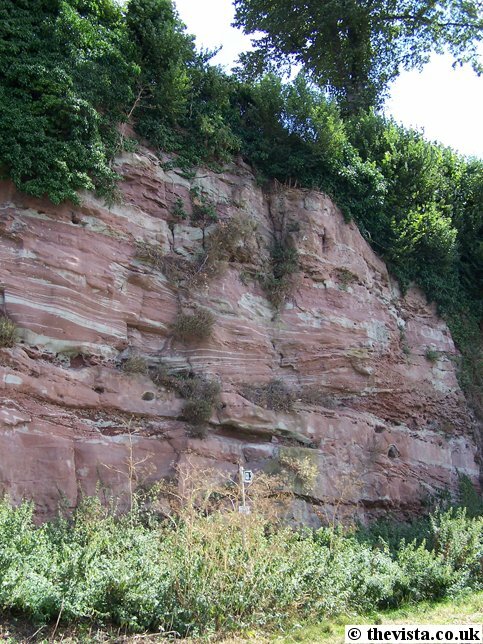 This exposed the Old Red Sandstone and resulted in the cliff being created. 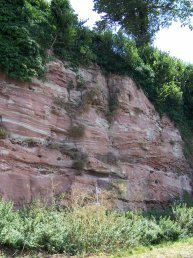 The Old Red Sandstone (Brownstone Formation), which gives the local soil its colour, were laid down in the Devonian Period (around 400 million years ago) as river sediment resulting from gradual erosion of older rocks further upstream. The rocks were laid down when this area was south of the equator in a hot and arid climate. The 'red' colour is due to the presence of oxygen during the creation of these rocks, resulting from the oxidisation of iron to form haematite, these sandstone layers being described as the 'rust of the earth'. Several different coloured layers can be seen here resulting from the differing amounts of oxygen being present as the rocks were laid down. The anaerobic breakdown of vegetable matter results in the reduction of the iron minerals which gives the greenish colour to the sandstone. Chase Hill and Penyard Hill are mainly made up of the Brownstones Formation with a quartz conglomerate above that and capped with Tintern Sandstone. Because the sandstone and conglomerate are well bonded, then the softer brownstones below have not been eroded away. Exposures of the conglomerate are relatively easy to find but the sandstone is much harder to see. As a result these layers, the upper reaches of Chase Hill take the form of steep slopes with the hill's lower slopes being much shallower. 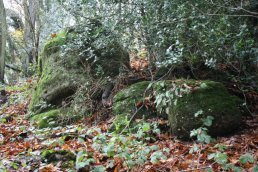 The conglomerate breaks into large blocks and has in the past been worked to make cider stones for the breaking up of the apples. The wide shallow Wye Valley with the meandering river north of Ross implies this is a mature river as meanders are characteristic of mature rivers winding across broad alluvial plains, but south of Ross, the meanders have formed looping gorges with steep sides, which can be seen at Symonds Yat. This could mean that the river has cut its own path as the levels of the land changed without time for much broadening of the river. This could also account for the course of the river as this is unusual as it follows relatively high ground upstream of Ross when there is a much easier path to the west between the South Wales upland and the Forest. 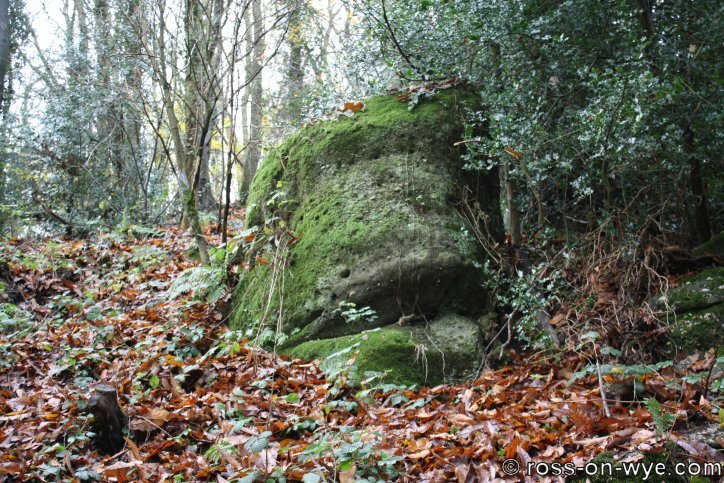 Along its path it also crosses outcrops of Old Red Sandstone, Carboniferous Limestone and Coal Measures several times. This also implies that the course of the river is not the one it would naturally choose because it does not take what can now be seen as the easiest path. The current terrain implies it was created before the Monmouthshire plain had lowered and its course was shaped by other factors such as being formed on upper rock layers that have since been removed, maybe by ice, to reveal the structures below or shifting of the levels as already mentioned. Meanders are formed when a river is close to sea level and the energy in the river is used for cutting sideways (sideways movement). The size (or wavelength) of meanders is directly proportional to the amount of water flowing down the river (the discharge) so the larger the discharge the larger the loops. Being as the Wye Valley meanders in very large loops with the river itself meandering within the valley then this would imply that the river used to be much larger and with a much greater discharge. As a result the theory is that as glacial ice retreated the melt water carried down the rocks and minerals that form the landscape, the river was cutting down through its own deposits to form the incised meanders that are now the Wye Valley. The rivers's discharge was then reduced to something similar to what is seen today. 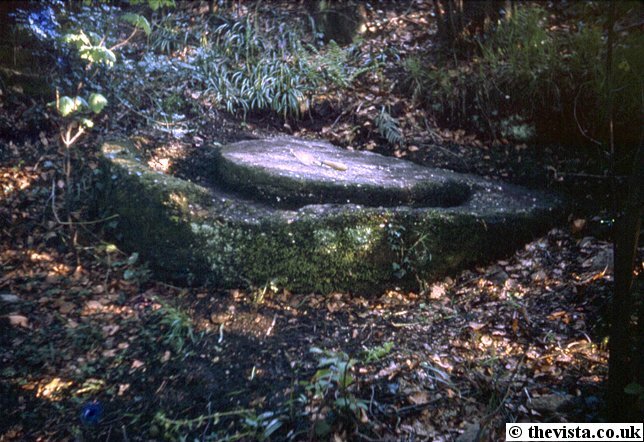 Following this the land was lifted by around 600 feet and tilted down towards the South East (possibly due to Britain being split from Greenland as the Atlantic was formed) and the river stayed in the channels that it had cut earlier through the beds of what are now hard rocks. Some further evidense of this are the oxbow valleys that can be found in the area, for example the valley that runs from Coughton to Weston-Under-Penyard used to be the path of the Wye but this has been cut off and now forms a valley. 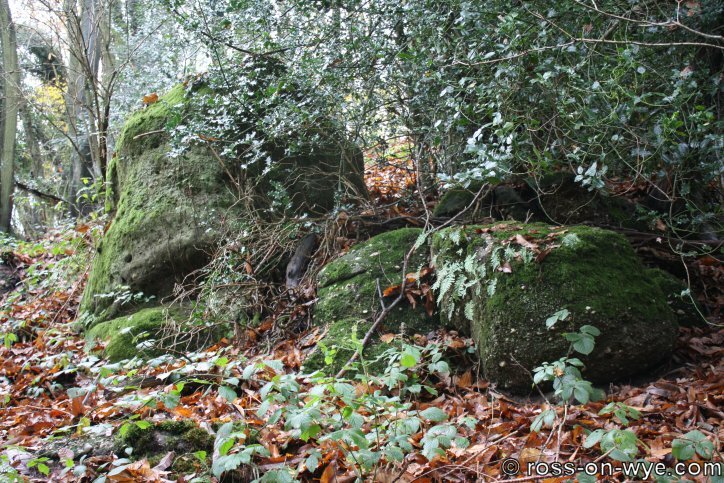 There are also local outcrops of conglomerates suitable for cider wheels and bases. 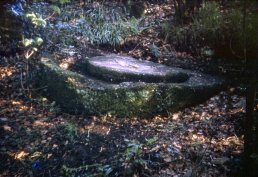 These were cut out of the conglomerate outcrops and then moved to farms or mills once complete. Partially finished ones can be seen still attached to the outcrops where they have been abandoned after they broke or cracked whilst they were being cut out. 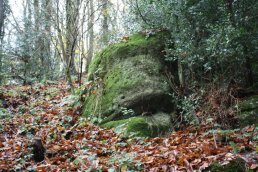 If you would like to find out more on the geology of the Wye Valley then Geostudies offer a range of classroom courses and field courses.